The word quartz is used as a general catchall for a wide variety of crystallized compact silica. 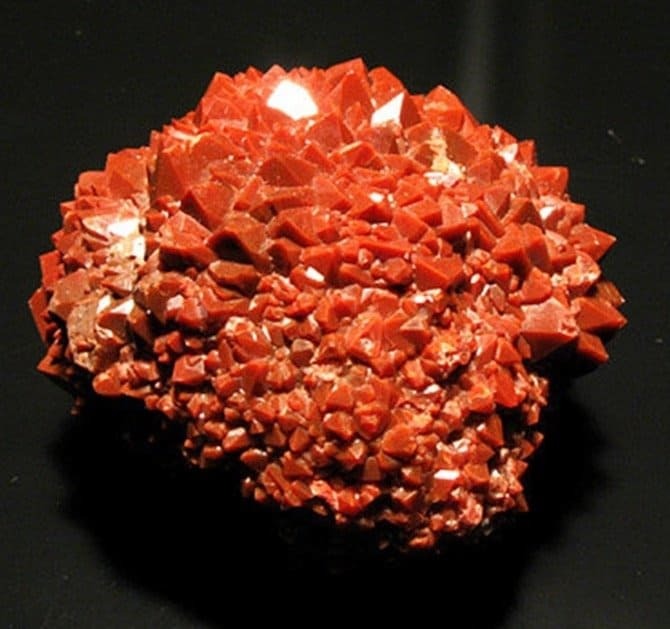 These minerals are some of the most abundant in the world. Once a mineral is determined to be a quartz, it falls into one of two subcategories: Macrocrystalline Quartz (rock crystal) or Crypto-Microcrystalline (fibrous or grainy). To make the process of selecting the perfect Quartz for your wedding or engagement ring easier, we have compiled a cumulative list of the most popular forms of this wonderful, abundant and durable mineral. Amethyst is one of the most popular varieties of the Quartz family and understandably so! 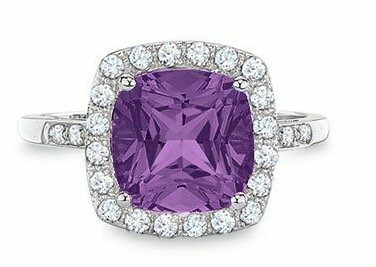 This beautiful gemstone displays beautiful and unmatchable shades of violet that make a perfect center stone for any engagement or wedding band. Amethyst is a relatively durable ring and can be found at an Mohs Hardness Level of 7. Even more impressive is that this beautiful gemstone is decently priced and doesn’t increase in value per carat with bigger carat sized. If none of that has you convinced, it might be useful to know that Amethyst is also the birthstone for February, making it the perfect stone for a bride or groom who celebrate their birthdate then! Sometimes called Trystine, Ametrine is a unique stone as it is a mix of two different varieties of Quartz: Amethyst and Citrine. Ametrine radiates shades of violets and dark yellow making it a unique multi-colored addition to any engagement or wedding ring! 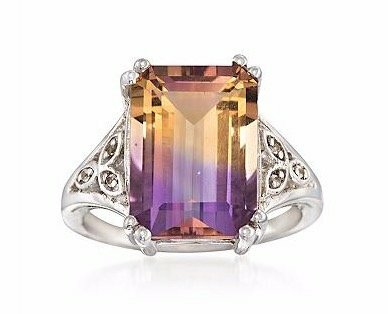 Unfortunately, Ametrine is rarely found in nature and is typically man-created by combining natural Amethyst and natural Citrine. Fortunately, these simulate forms are equally as stunning as they are inexpensive, making them a must-have stone for the bride or groom on a budget that aren’t willing to sacrifice style! 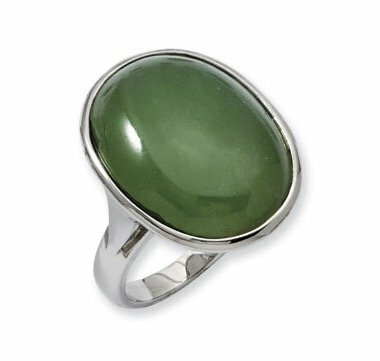 Aventurine is one of several forms of green colored Quartz, but even then, it is one of a kind. What makes Aventurine unique to the other green Quartz is the presence Chrome bearing properties within the stone that give it a natural shimmer that varies from greenish silver to bluish gold – this shimmer is called Aventurescence. Aventurine is an opaque stone and, like most Quartz, is a durable stone with an Mohs Hardness rating of 7. 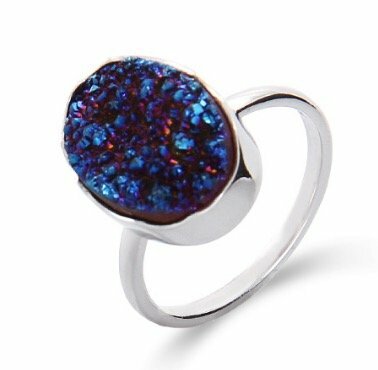 This beautiful self-shined stone is also extremely affordable making it a good gemstone candidate for an affordable wedding or engagement ring. Blue Quartz is a form of Quartz that is seldom used as a gemstone due to its porosity. This form of Quartz varies in color from light-grayish blue to a dark navy hue of blue. Blue Quartz gets its color from its numerous inclusions, making it a delicate stone, though a hard one. Blue Quartz have been used as stones for statement jewelry, but it is not a stone we recommend for the everyday wear of a wedding or engagement ring. Citrine is one of the several options for the November Birthstone. This beautiful gemstone varies in color from a dark yellow to mid-level orange which results in it commonly getting mistaken for Topaz. Citrine, like most Quartz stones, is a durable and hard stone making it a great addition to a ring that will be getting daily wear. 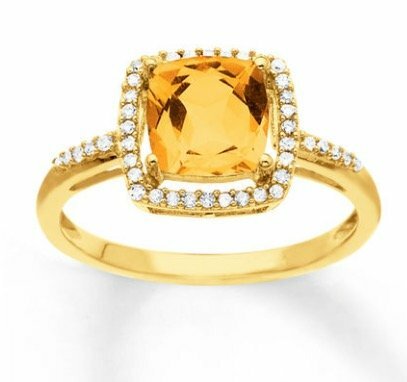 The beautiful transparency of this ring, coupled with its affordability and durability, make it one of the most popular yellow gemstones in the market! Eisenkiesel, also known as Ferruginous, is an opaque stone that comes in varying shades of yellow, red or brown. Eisenkiesel gets its rich coloring from the numerous iron inclusions throughout its body – in fact, the word eisenkiesel is German for ‘iron pebble’. 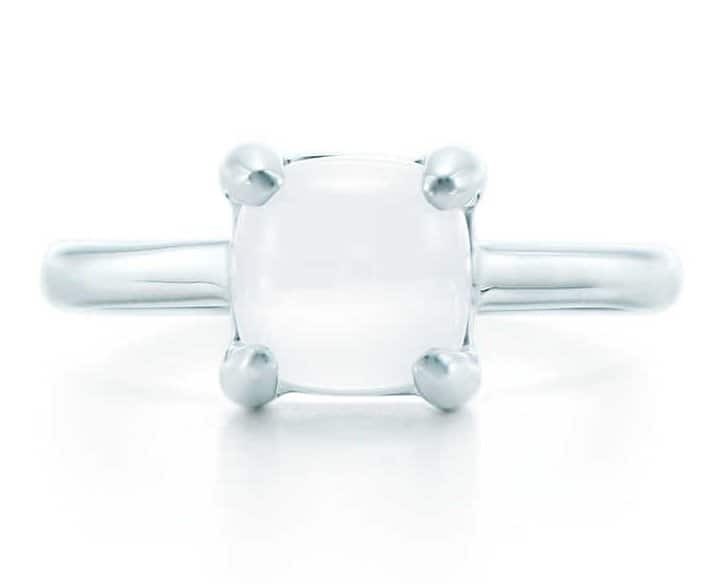 Due to its numerous inclusions, this form of Quartz is considered a delicate Quartz and isn’t often used in engagement or wedding rings, or for that matter, in jewelry as a whole. Milky Quartz is a white translucent Quartz that appears to be foggy through its body. Milky Quartz gets its color and fogginess from fluid, gas, or the combination of both, being trapped within it. The production of Milky Quartz is believed to demonstrate unsteady growing conditions of the environment in which it is discovered. Though it is essentially a blunder of a Quartz, the stones cut from it are absolutely stunning – portraying a delicate appearance while sustaining the Hardness and durability of Quartz stones! Pink Quartz, though displaying a variety of pretty pink hues, is not the same as Rose Quartz, though at times the term is used interchangeably. This slightly translucent form of Quartz varies in color from nearly clear pink to a bright vivid pink – these stunning shades develop from the abundance of aluminum within the stone! 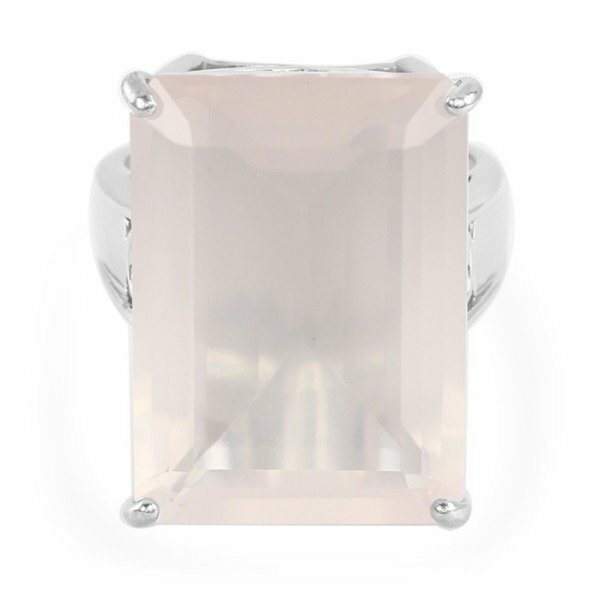 Though undoubtedly a beautiful addition to any wedding or engagement ring, it is important to note that pink Quartz tend to lose their coloring with extended exposure to sunlight and may not make a good addition to a ring that will be worn daily or in warm environments. For an equally stunning Quartz that is sustainable in every day use, Rose Quartz may be a better fitted option.